Contributions from individual supporters are most welcome to help further the work of the Hall of Fame. Donations in any amount can be made through Paypal by clicking the Donate button below. You can also show your support for the Hall of Fame by becoming a member. Memberships are available at several different levels. Just click here. Since the West Virginia Music Hall of Fame was awarded non-profit status in February, 2005, it has received funds, grants and awards from: The United Mineworkers of America, the Greater Kanawha Valley Foundation, the West Virginia Development Office, the Appalachian Regional Commission, the West Virginia Humanities Council, the West Virginia Budget Digest, the Department of Culture and History, the Regional Coal Heritage Authority, and the West Virginia Department of Education. It has received private donations from Columbia Gas Transmission. 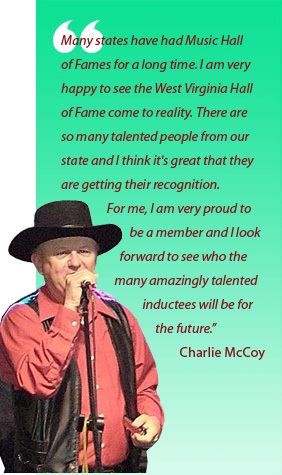 If your company or organization would like to support the ongoing work of the West Virginia Music Hall of Fame, we would appreciate hearing from you at 304-342-4412.